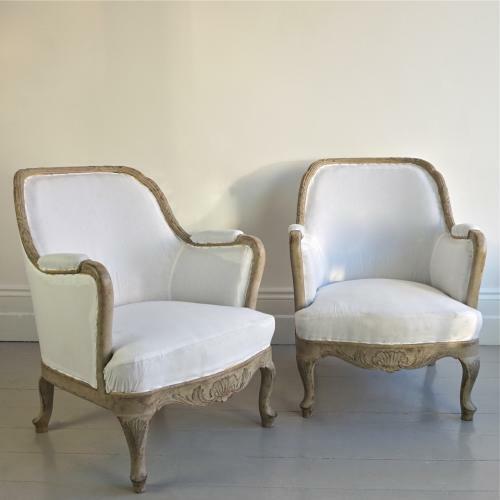 An exceptional pair of hand-carved late 19th century Rococo style Bergere armchairs, ready for upholstery in a beautiful fabric of your choosing. These decorative chairs are superb quality and extremely comfortable. Price includes professional upholstering and most fabrics, Swedish, circa 1890.